For anyone with a pulse on the latest trends, you probably already know that designers are wild about animal prints this season. Of course, we saw them scattered across the catwalk during Fashion Week in collections like Tom Ford, Calvin Klein and Michael Kors (just to name a few). But, just in case you missed the memo it’s not too late to add this trend to your wardrobe. You don’t have to be up-to-date on the trends from Fashion Week to sport these street-style approved outfits. 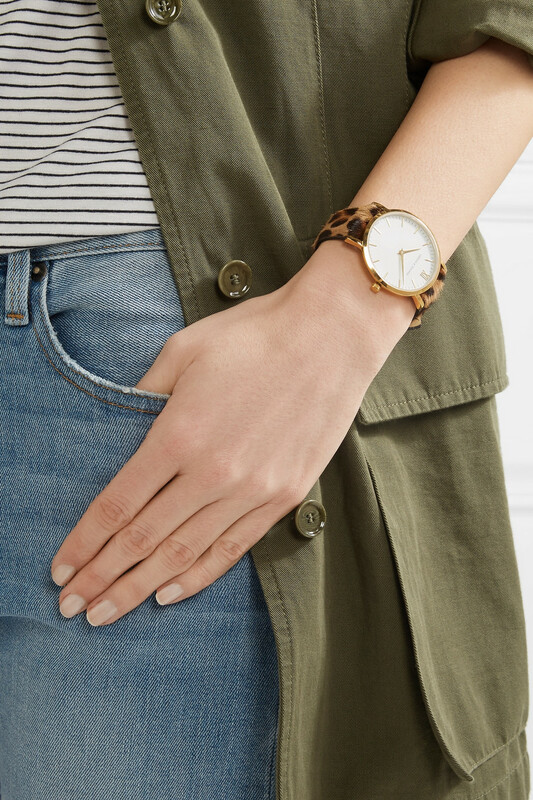 In fact, whether you’re a beginner trying this printed trend out for the first time, looking to up your leopard game, or just shopping for a bold new piece to add to your wardrobe – these styles cover all of the above. Faux-fur coats are the obvious entryway into the leopard-print trend. To be honest, there’s no easier shortcut to instantly up your style game, either. Whether you dress it down with jeans and a tee or take the ultimate fashion risk and mix your prints, pretty much everyone can pull off an amazing leather jacket. Take a look at a few of our favorites, including this Leopard-print cotton-blend velvet blazer that effortlessly blends casual and chic. There’s something to be said about a great pair of leopard pants. Fitted, relaxed, skinny or oversized – no matter what style you choose, all are welcome this season. Remember, leopard print can often be considered a neutral which means if you’re feeling bold, you can pair these pants with another print. If not, they’ll always work with a solid colored top, like these Camberwell canvas tapered pants. As far as prints go, leopard is a great way to add a little edge and interest to your look – especially if that consists mostly of neutrals. For example, even a simple blouse can do the trick. Decorated with a graphic leopard print, tops like this leopard print camisole are perfect for warmer days but can also be layered over a simple tee or beneath a blazer for those cooler days or nights. The great thing about this print is, once you’re comfortable with it, it can be worn to fit any style – preppy, punk, classic or eclectic, it mixes and matches easily so you can sport it from home or out and about. Pair with a comfortable pair of tennis shoes, and you’re basically unstoppable. Feeling so comfortable you’d consider doubling-down on this bold print? Try this stretch-jersey set from Olympia Activewear. Another fabulous way to incorporate animal-print into any outfit is to start with the basics and work your way up. 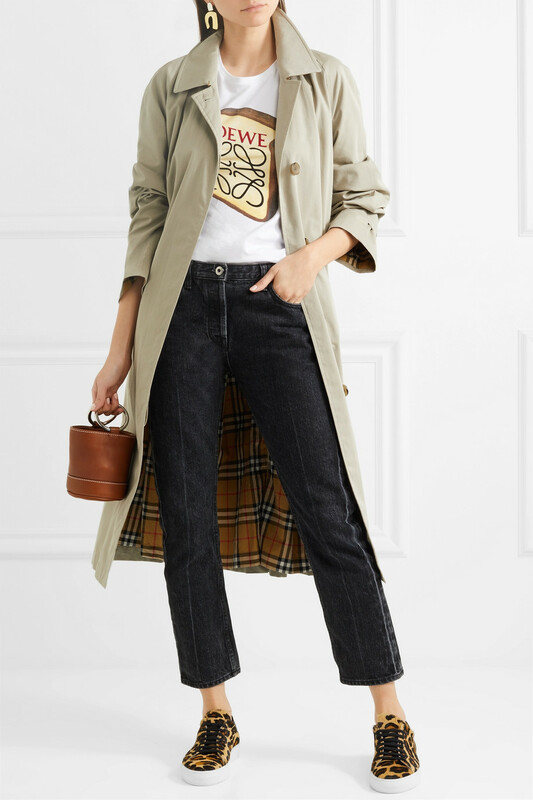 Dress it up day or night with some leopard heels or tone it down with a printed flat – either way, there’s enough variety out there to pick the style that fits you (or your agenda) best. For example, try these leather-trimmed leopard-print sneakers for an errand-filled day or even grabbing drinks afterward. 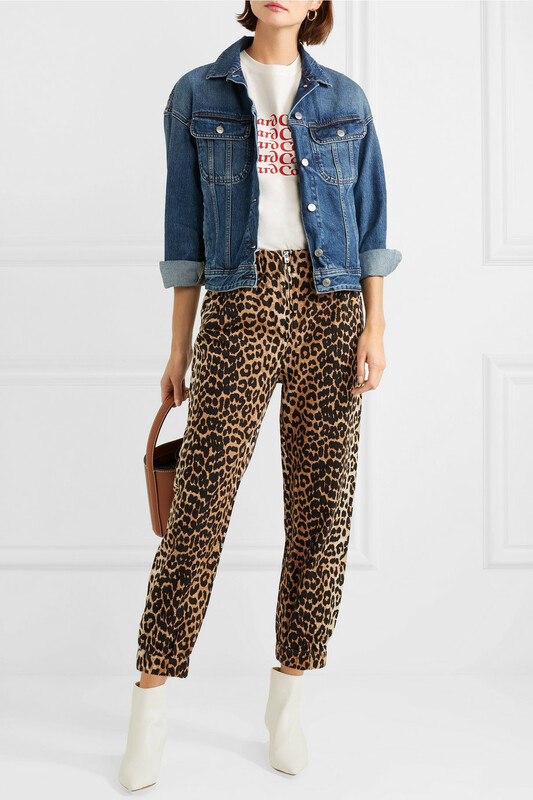 If you’re still hesitant about trying out this print or want to double-up your spots, the easiest way to work leopard in is through accessories. Whether it’s a small handbag or rimmed sunglasses, here are some of our favorite items to add a hint of print to any style. For example, this Lugano leopard gold-plated watch.